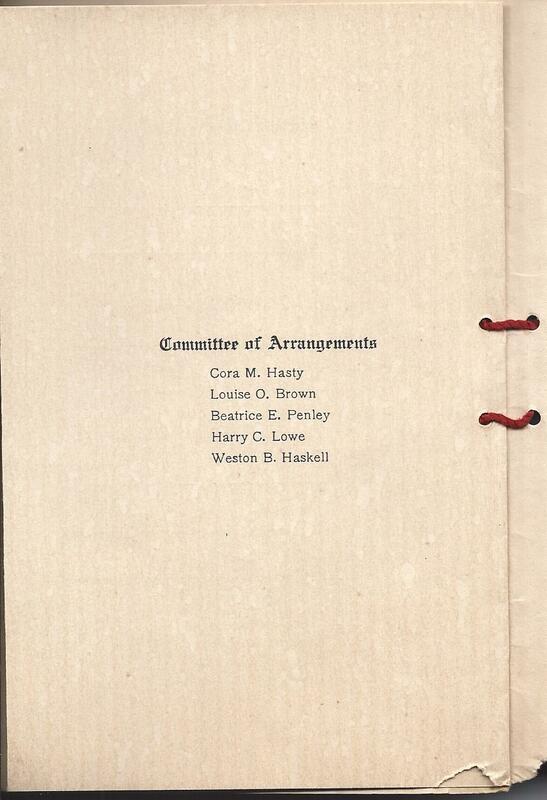 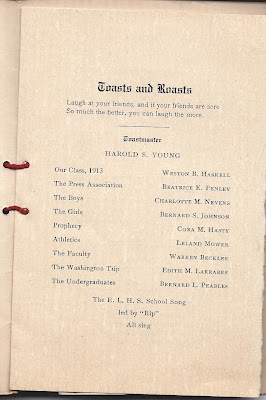 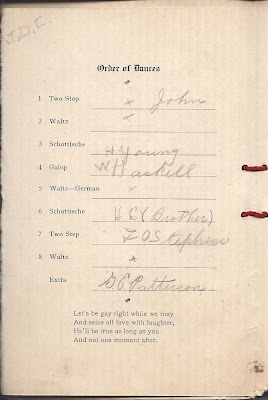 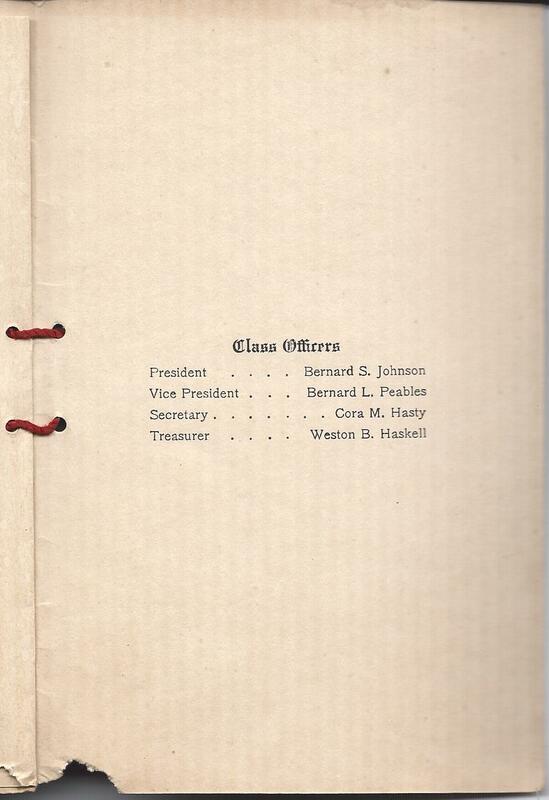 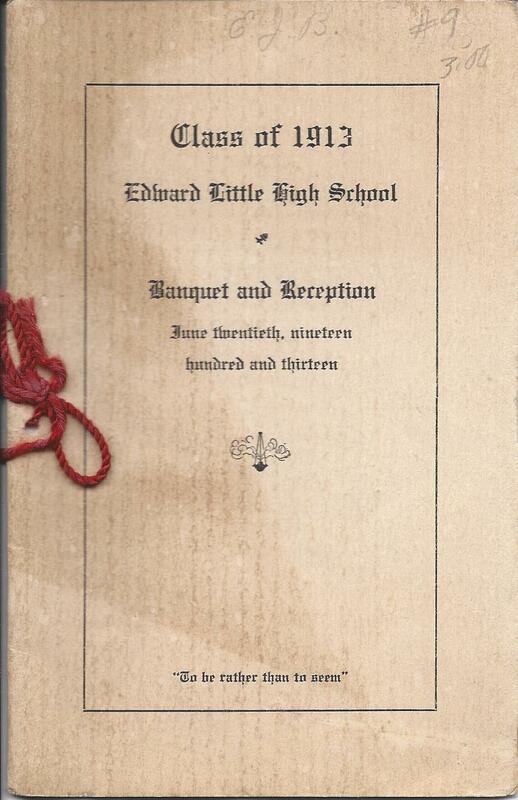 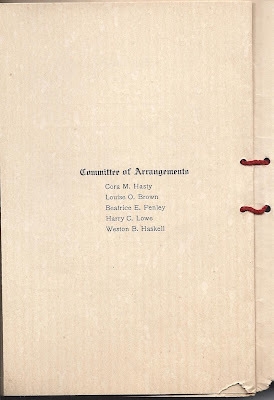 Program for the Banquet and Reception of the Class of 1913 of Edward Little High School at Auburn, Maine. 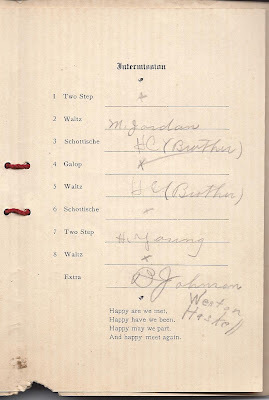 June 20, 1913. 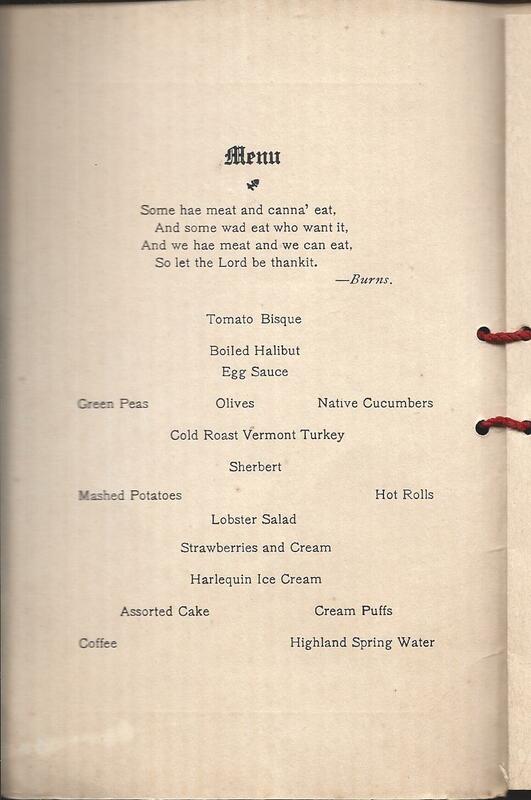 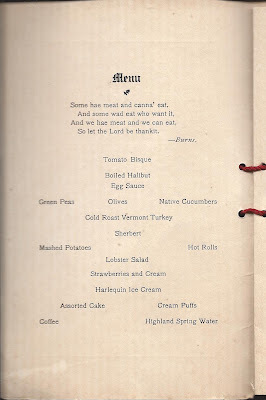 "To be rather than to seem"
The menu describes a veritable feast! 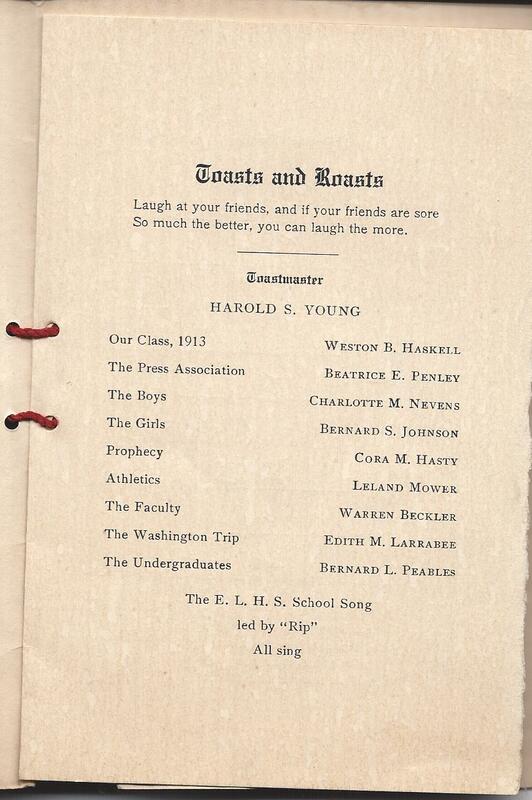 So much the better, you can laugh the more. Initials in the upper left, J. D. C.